Mapmaking has been an integral part of human history for thousands of years. It is believed that the human activity of graphically representing one’s perception of his world is a universally acquired skill and one that pre-dates virtually all other forms of written communication. 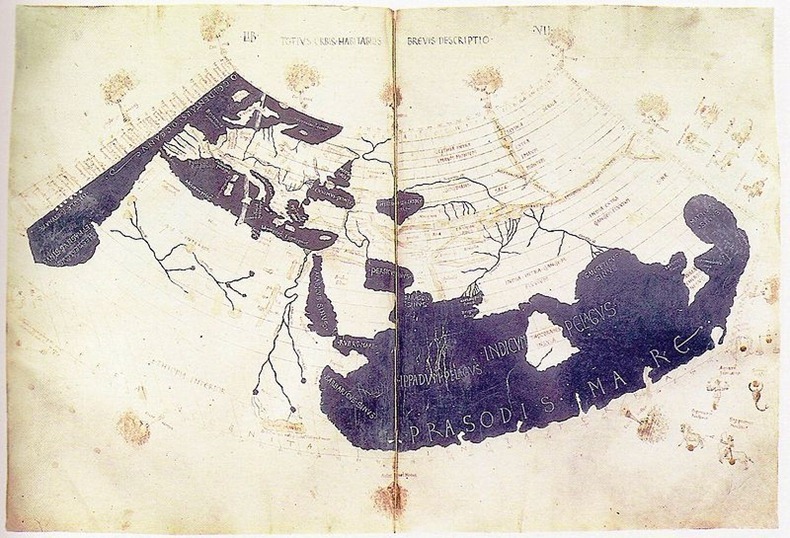 From cave paintings to ancient maps of Babylon, Greece, and Asia, right into the 21st century, people have created and used maps as the essential tools to help them define, explain, and navigate their way through the world. Mapping represented a significant step forward in the intellectual development of human beings and it serves as a record of the advancement of knowledge of the human race, which could be passed from members of one generation to those that follow in the development of culture. 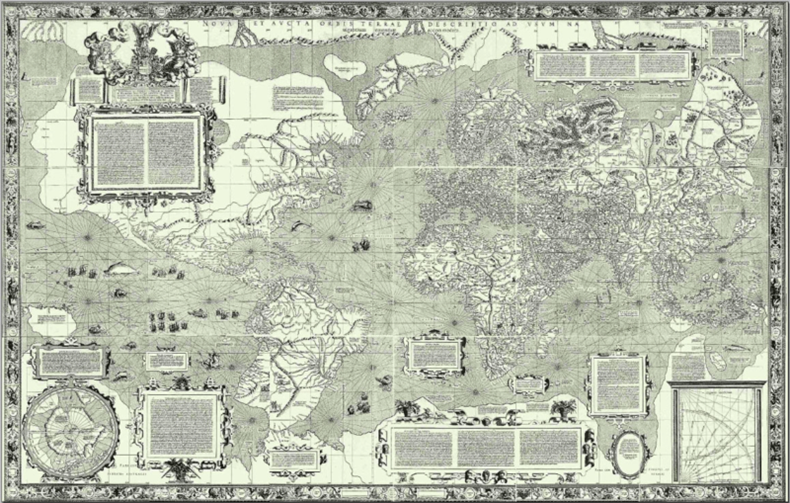 Early maps were a garbled mass of land that bear no resemblance to the actual world. 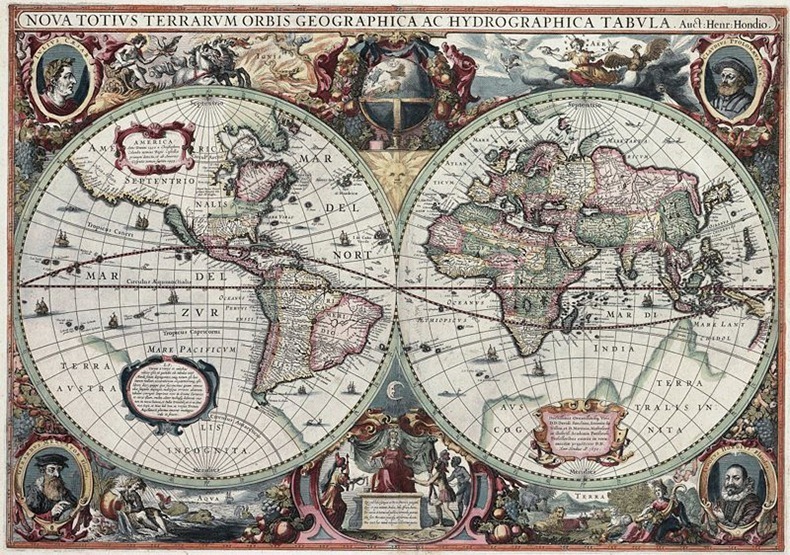 As the centuries passed, maps became larger, more detailed and more accurate. Sometimes historic maps had strange things drawn on them, such as unidentified objects in the sky, “creatures” in the sea, and even land masses that were never known to exist. The earliest surviving map of the world is one prepared by the Babylonians 600 years before the birth of Jesus. 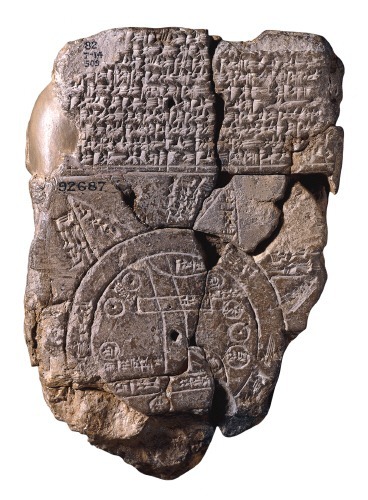 It shows Babylon surrounded by a circular landmass showing several cities such as Assyria, Urartu and others. They in turn are surrounded by a “bitter river” (Oceanus), with seven islands arranged around it so as to form a seven-pointed star. The accompanying text mentions seven outer regions beyond the encircling ocean. The Babylonian world map is believed to be symbolic, rather than a literal representation of the world. It deliberately omits peoples such as the Persians and Egyptians, who were well known to the Babylonians. 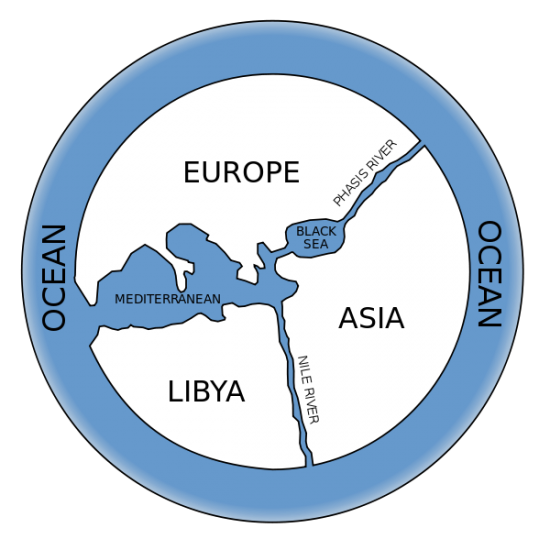 The area shown is depicted as a circular shape surrounded by water, which fits the religious image of the world in which the Babylonians believed. 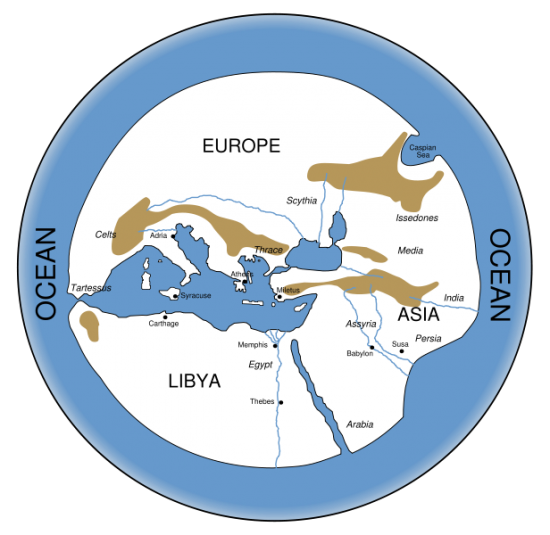 Anaximander (c. 610 – 546 BCE) is credited with having created one of the first maps of the world, which was circular in form and showed the known lands of the world grouped around the Aegean Sea at the center. This was all surrounded by the ocean. Based on Anaximander’s map of the world, Hecataeus of Miletus (c. 550 – 476 BCE) a Greek historian created a new map. Accompanying the map, which he published in his two volume work entitled Ges Periodos (“Travels round the Earth” or “World Survey’), Hecataeus described the regions of the world reaching as far north as Scythia in the north and Asia on the east. Hecataeus described the countries and inhabitants of the known world, the account of Egypt being particularly comprehensive. 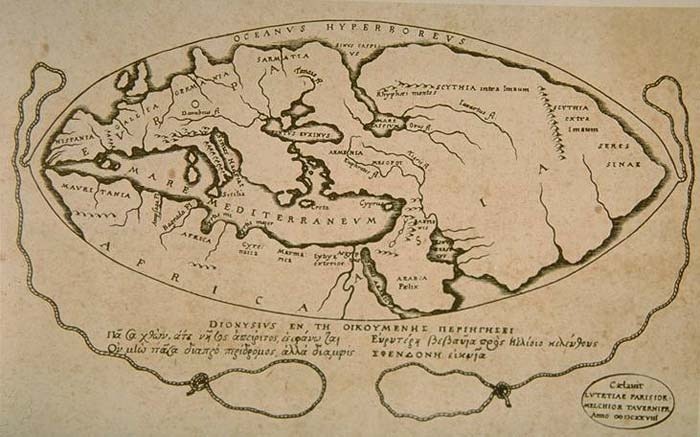 The next major contribution to cartography came from Eratosthenes, one of the legendary map makers of the ancient world, born in 276 BC in Cyrene, presently situated in Libya. 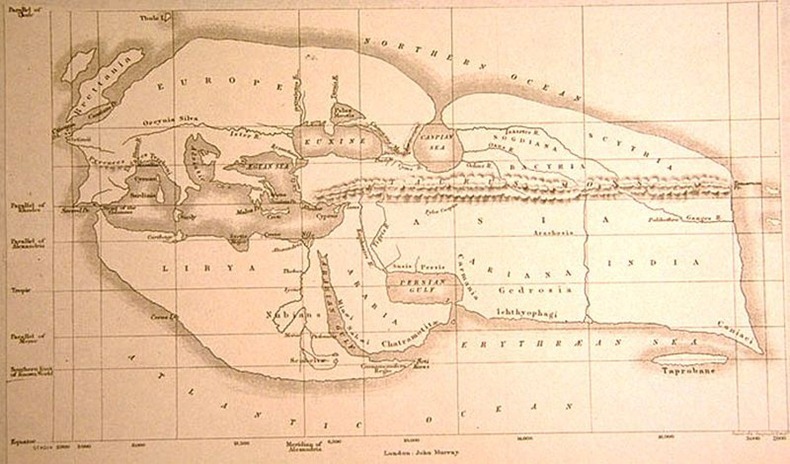 Eratosthenes created several maps of the world which featured the countries of Great Britain, India and Sri Lanka. Eratosthenes was also the first geographer to incorporate parallels and meridians within his cartographic depictions, attesting to his understanding of the spherical nature of the earth. A century later, Greek philosopher Posidonius (c. 150 – 130 BCE) published a work “about the ocean and the adjacent areas”. This work was not only an overall representation of geographical questions according to current scientific knowledge, but it served to popularize his theories about the internal connections of the world, to show how all the forces had an effect on each other and how the interconnectedness applied also to human life, to the political just as to the personal spheres. Posidonius also measured the Earth’s circumference by reference to the position of the star Canopus. His measure of 240,000 stadia translates to 24,000 miles, close to the actual circumference of 24,901 miles. Roman geographer Pomponius Mela proposed a unique map of the world on the year 43 AD. He divided the earth into five zones, of which two only were habitable. He asserted that antichthones, people inhabiting the southern temperate zone, are inaccessible to the folk of the northern temperate regions due to the unbearable heat of the intervening torrid belt. 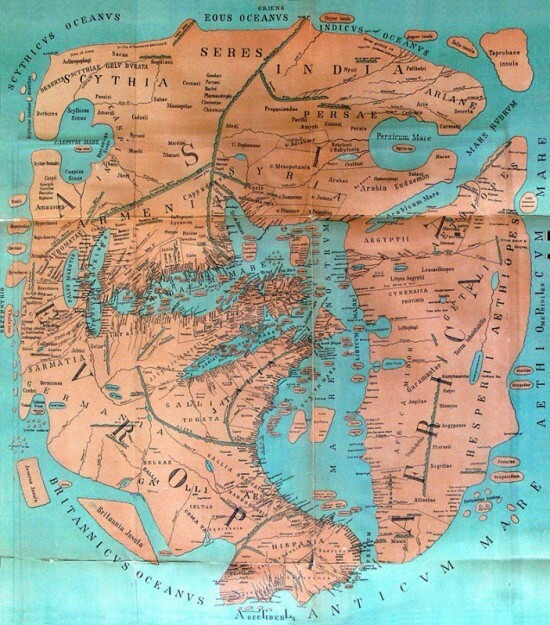 On the divisions and boundaries of Europe, Asia and Africa, he repeats Eratosthenes; like all classical geographers from Alexander the Great (except Ptolemy) he regards the Caspian Sea as an inlet of the Northern Ocean, corresponding to the Persian and Arabian (Red Sea) gulfs on the south. In circa 150, the great mathematician, astronomer, geographer, and astrologer Ptolemy created the first map that used longitudinal and latitudinal lines. His ideas of a global coordinate system revolutionized medieval Islamic and European geographical thinking and put it upon a scientific and numerical basis. 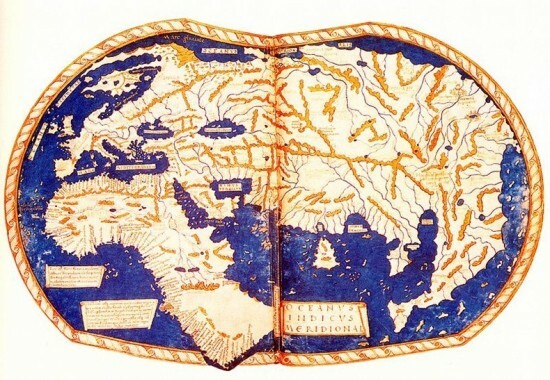 In 1154, the Arab geographer, Muhammad al-Idrisi, incorporated the knowledge of Africa, the Indian Ocean and the Far East gathered by Arab merchants and explorers with the information inherited from the classical geographers to create the most accurate map of the world at the time. The Tabula Rogeriana, as the map is called, shows the Eurasian continent in its entirety, but only shows the northern part of the African continent. It remained the most accurate world map for the next three centuries. China developed sophisticated mapping techniques at about the same time as ancient Rome, and never lost them, so by the medieval period the country had been mapped with considerable detail and accuracy. 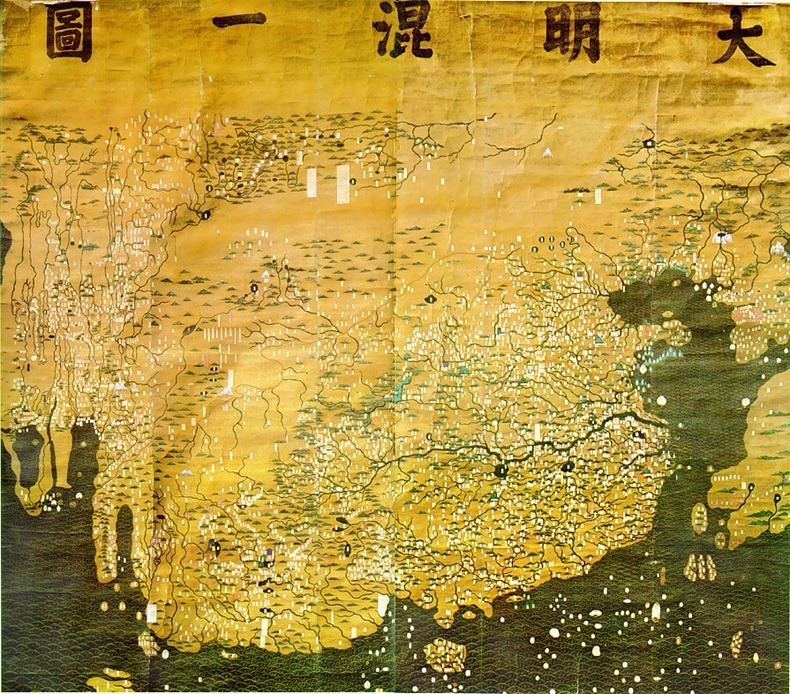 Chinese world maps showed China at the centre and Europe, half-way round the globe, depicted very small and horizontally compressed at the edge. 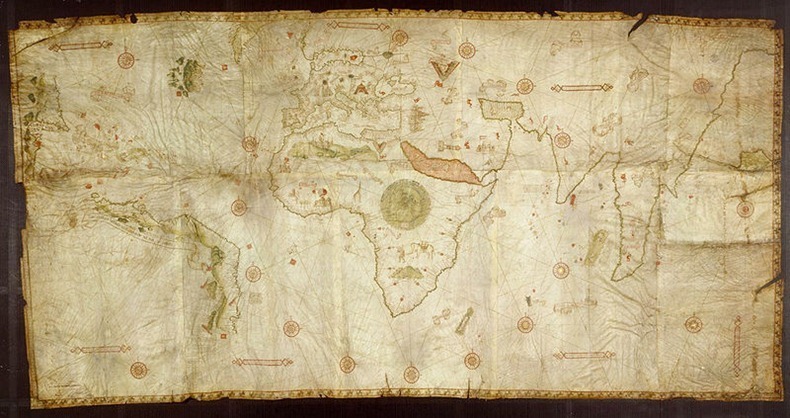 Significantly, Africa was also mapped from an Indian Ocean perspective, showing the Cape of Good Hope area, which Europeans would not visit until much later. The first examples, made in the 1320s, are lost, so the earliest survivor is the elaborate, colourful Da Ming Hun Yi Tu, painted on 17 sq. m. of silk in 1389 for the first Ming emperor. In 1490, Heinrich Hammer, a German cartographer, created a map that was remarkably similar to the terrestrial globe later produced by Martin Behaim in 1492, the Erdapfel. Both show heavy influences from Ptolemy, and both possibly derive from maps created around 1485 in Lisbon by Bartolomeo Columbus. Juan de la Cosa, a Spanish cartographer, explorer and conquistador, made several maps of which the only survivor is the Mappa Mundi of 1500. 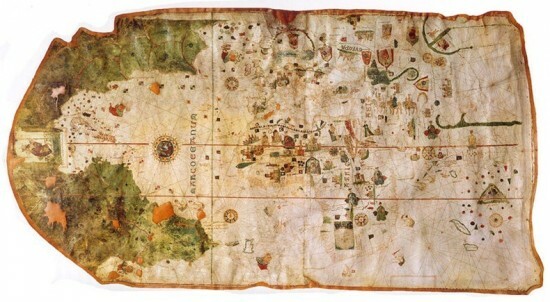 It is the first known European cartographic representation of the Americas. The Cantino world map is the earliest surviving map showing Portuguese discoveries in the east and west. It shows the islands of the Caribbean and the Florida coastline, as well as Africa, Europe and Asia. 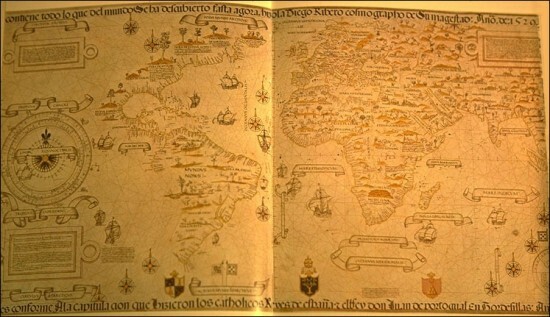 The map is particularly notable for portraying a fragmentary record of the Brazilian coast, discovered in 1500 by Portuguese explorer Pedro Álvares Cabral who conjectured whether it was merely an island or part of the continent that several Spanish expeditions had just encountered farther north (cf. Amerigo Vespucci). The Caverio Map, also known as Caveri Map or Canerio Map, of circa 1505 shows the east coast of North America with surprising detail and was one of the primary sources used to make the Waldseemüller map in 1507. The Waldseemüller map was the first map where the name America appears, holding the strong opinion that it was a new continent that Amerigo Vespucci had discovered on his voyage and not only a few smaller islands as Christopher Columbus did in the West Indies. The great richness and high grade of detail of the resulting map speak for themselves. 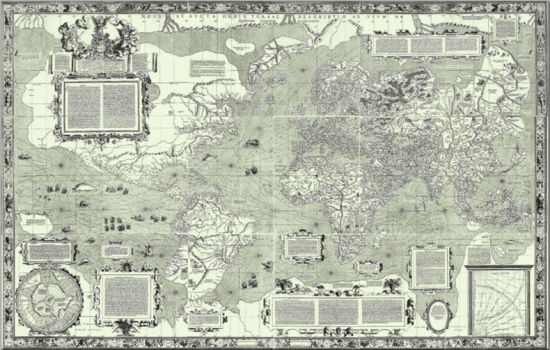 Diogo Ribeiro, a Portuguese cartographer working for Spain, made what is considered the first scientific world map in 1527 based on empiric latitude observations. 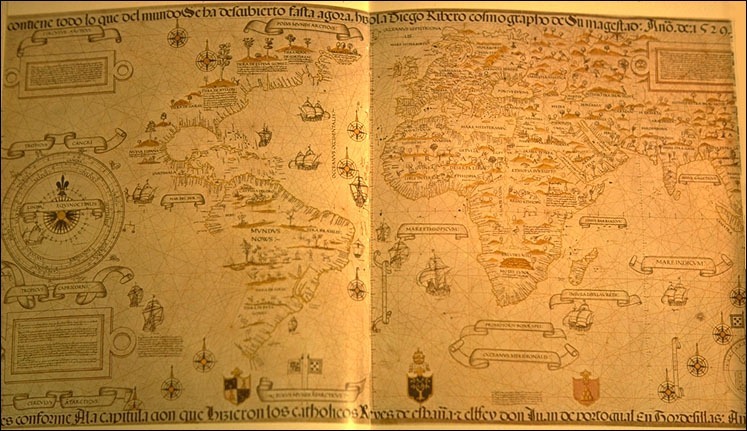 Diogo’s map delineates very precisely the coasts of Central and South America. However, neither Australia nor Antarctica appear, and the Indian subcontinent is too small. The map shows, for the first time, the real extension of the Pacific Ocean. It also shows, for the first time, the North American coast as a continuous one. Flemish geographer and cartographer Gerardus Mercator world map of 1569 introduced a cylindrical map projection that became the standard map projection known as the Mercator projection. 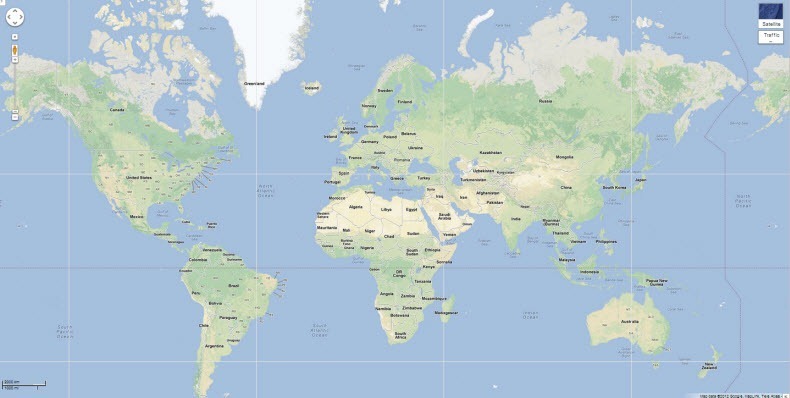 The principal feature of the projection is that sailing courses at a constant bearing are mapped to straight lines on the map. The development of the Mercator projection represented a major breakthrough in the nautical cartography of the 16th century although it was only slowly adopted by sea-faring nations. 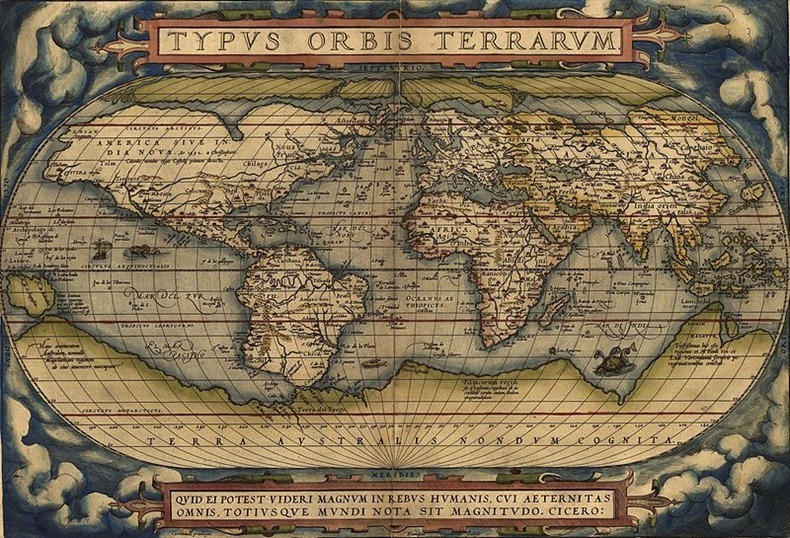 The Theatrum Orbis Terrarum or “Theatre of the World” is considered to be the first true modern atlas. Written by Abraham Ortelius and originally printed on May 20, 1570, in Antwerp, it consisted of a collection of uniform map sheets and sustaining text bound to form a book for which copper printing plates were specifically engraved. The atlas continued to be in demand until approximately 1612. 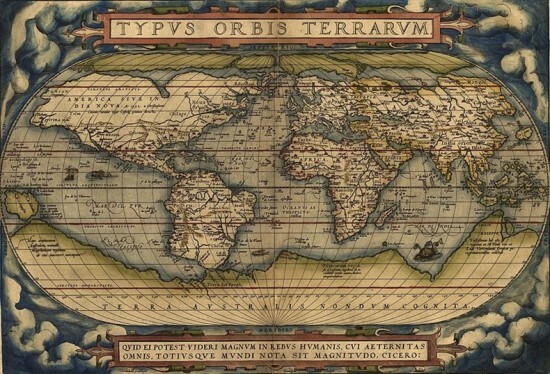 Nova totius Terrarum Orbis geographica ac hydrographica tabula created by Hendrik Hondius in 1630 was the first widely available map, to show any part of Australia. The Australian coastline shown is part of the west coast of Cape York Peninsula, discovered by Jan Carstensz in 1623. In the seventeenth century, cartographers began applying new theories of the physical universe to accurately determine the dimensions of the earth. The invention of new instruments such as the pendulum clock, the telescope, as well as more theoretical tools like tables of logarithms, the differential and integral calculus, and the law of gravity, enabled scientists to make the necessary observations. The advance of cartography was furthered by the measurement of an arc on the earth’s surface. In the eighteenth century, the advances in mathematics and astronomy associated with the work of Sir Isaac Newton helped perfect the method of determining longitude within one degree. The results of these technical advances were seen in the increased accuracy of the general outline of the continents and their precise positions. Maps of North America and the Indian sub-continent began to be sketched. The progress of the settlement of North America, the organization of colonies, and a continuing Anglo-French rivalry created an increasing demand for maps of greater reliability. During the 20th century, maps became more abundant due to improvements in printing and photography that made production cheaper and easier. Advances in mechanical devices such as the printing press, quadrant and vernier, allowed for the mass production of maps and the ability to make accurate reproductions from more accurate data. Optical technology, such as the telescope, sextant and other devices that use telescopes, allowed for accurate surveying of land and the ability of mapmakers and navigators to find their latitude by measuring angles to the North Star at night or the sun at noon. 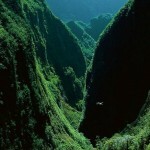 Airplanes made it possible to photograph large areas at a time and perform more accurate mapping. 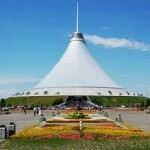 During the last few decades more sophisticated technologies came into existence. With the field rugged computers, GPS and laser rangefinders, it is now possible to perform mapping directly in the terrain. Construction of a map is also possible in real time. Remote sensing has also enabled modern cartographers to chart the depths of the ocean or the frontiers of outer space. High-resolution satellite cameras located at altitudes of several hundred kilometres can record details as small as a few metres in on the surface of the Earth. Satellites such as those in the LANDSAT series sweep the globe with continuous scans to provide detailed up-to-date maps of nearly the entire Earth. 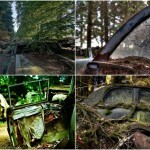 In the modern age, the ability to navigate with ease with the help of accurate maps is often taken for granted. Thanks to the many thousands brave explorers and hundreds of cartographers and their diligent mapmaking who combined knowledge of East and West to help develop our understanding of geography today.